A first-half goal from Marten de Roon (£4.4m) earrned Middlesbrough a 1-0 win over Sunderland and the midfielder the maximum Fantasy Premier League bonus points. De Roon contributed four recoveries and four clearances, blocks and interceptions (CBI) to tally 32 in the Bonus Points System (BPS). Middlesbrough goalkeeper Brad Guzan (£4.2m) claimed two bonus points, making four saves to help his side to a third clean sheet in the last six Gameweeks. He also made 13 recoveries to score 30 in the BPS. Defenders George Friend (£4.2m) and Ben Gibson (£5.1m) collected one bonus point apiece, scoring 26 BPS. Friend gained from winning three tackles, while Gibson registered seven CBIs. Both De Roon and Sunderland’s Wahbi Khazri (£6.0m) registered 6.3 to lead the way in a low-scoring ICT Index encounter. The Boro midfielder had two shots, including his decisve strike from inside the box. Khazri recorded a Creativity score 44 made up of three successful crosses, creating two scoring chances for the visitors at the Riverside Stadium. 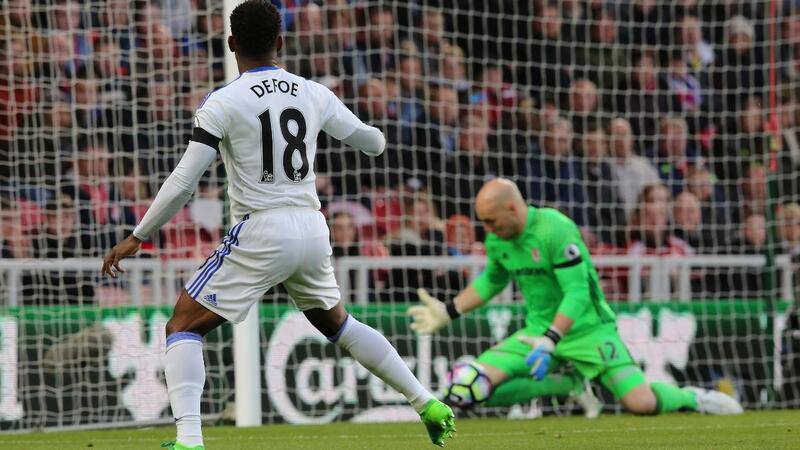 Despite failing to score for a ninth consecutive outing, Sunderland's Jermain Defoe (£7.6m) registered the highest Threat score in Wednesday’s contest with 49. The striker totalled three shots, with two arriving from inside the penalty area. Handed the captain’s armband by more than 150,000 managers, Alvaro Negredo (£6.3m) delivered a second successive blank to finish Double Gameweek 34 with only four points. The Spaniard failed to produce a single shot against the Black Cats and has already been sold by 26,000+ FPL managers. Negredo was perhaps destined to be a short-term option, with all of Boro’s remaining four fixtures scoring three or more in the Fixture Difficulty Rankings (FDR). Investors in Boro’s defence did get some reward, however. With more than 115,000 new Gameweek 34 owners, Gibson returned seven points over his two fixtures. But like Negredo, Boro’s defenders look set to suffer from that testing season run-in. As for Sunderland, they have failed to score in four successive away matches. David Moyes’ side return to the Stadium of Light on Saturday as they host AFC Bournemouth in a must-win encounter. That fixture will mark a final opportunity for Defoe to remain in the frame as an FPL asset. Still found in 807,000 (17.8%) squads, he has been sold by more than 266,000 FPL managers over the last four Gameweeks.